Investing in real estate can be a great way to earn passive income and build wealth. But it also comes with a lot of risk. Whether you’ve been a landlord for years or you’re just starting out, you have likely heard some terrible horror stories about awful tenants or impossible situations. We’d like to address some common landlord fears, and offer some sensible strategies that will help you avoid the worst case scenarios. One of the most common landlord fears we hear about is anxiety that a tenant won’t pay rent. Your cash flow and your ROI depend on consistent rental payments, not to mention your own obligations such as your mortgage, insurance, and tax payments. You may have heard horror stories about having to chase down late rent every month or moving to evict a tenant because months have gone by and a landlord still hasn’t been paid. This is an understandable fear, but one that can usually be avoided. If you have a strong tenant screening process, you can be sure you’re only placing good tenants with a history of paying rent on time. Verify income to ensure they earn enough to afford the rent. Talk to current and former landlords and ask about whether rent was paid on-time. Your lease needs an enforceable rent collection policy. Bad things can happen to good tenants and you might have a late payment once in a while. But, with a good screening process, it shouldn’t be common. Another horror story you might have heard is the landlord who walks into the home after a tenant has moved out, only to find devastating damage that’s been left behind. Large holes in the walls, doors dangling from their hinges, appliances that were abused and misused, yards dug up by what would appear to be a pack of feral hogs, and floors that are scratched and warped are all some of the terrible things that landlords might worry about. There may be property damage left behind after a tenant moves out, but it is rarely more than the security deposit you collect. Again – tenant screening can help mitigate this risk. Another tool is the property inspection. Even if your tenant never requests maintenance or has a repair need, make an appointment to get inside the home for an inspection at least once a year. This is the best way to look for unreported maintenance and check for lease violations. At Real Estate Experts, we inspect all of our properties on a regular basis; we inspect the inside monthly and the outside quarterly. Protecting your asset is a key part of our mission. Fearing pets is another thing that’s common among landlords. They don’t want to risk the damage and the potential liability of allowing pets in the property. What you need to understand is that more than half of the tenants in Chapel Hill have at least one pet. So, not allowing pets may extend your vacancy. It might also encourage people to sneak pets into your property. If you say no pets and you discover that a pet is, in fact, living in your home, you’ll have two choices. You can either screen the animal, collect a pet fee and maybe even pet rent, and go on with the tenancy; or, you can insist that your tenant get rid of the animal to come back into lease compliance. We always collect an appropriate pet fee and we find that tenants with pets take excellent care of our rental properties. 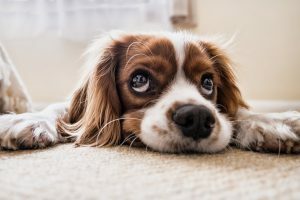 We recommend you allow pets so that you don’t have to worry about tenants bringing unauthorized pets into your property. There’s rarely damage that exceeds the amount of the security deposit and your pet fee. At Real Estate Experts, we make sure your asset is protected. Talk to us about your other fears, and we’d be happy to help you come up with creative solutions and reliable ways to avoid bad situations. Contact us at Real Estate Experts, and we’ll tell you more. 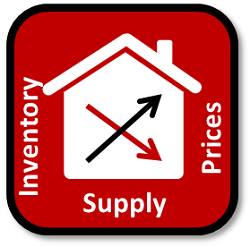 Visit our new web site at www.realestateexperts.net or give us a call at 919-928-5131 x 1 to discuss our property management services. 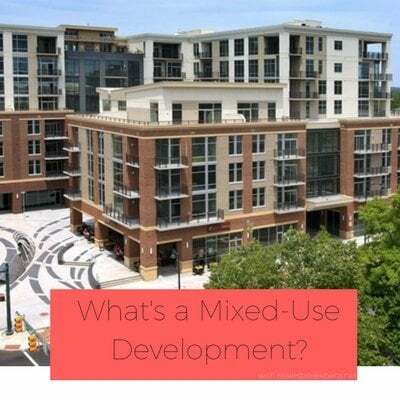 So, what is a mixed-use development, and where can I find them in the Triangle? You’ve probably heard the term mixed-use development circulating in the news or in neighborhood newsletters. A mixed-use development blends residential, commercial, cultural, institutional, or industrial uses. This blend is physically connected and “functionally integrated”, which is to say everything is interconnected, including walkways or pedestrian crossings. Kind of neat, right? A great way to describe a mixed-use development is by taking a look at mountain resorts. If you’re going away skiing, most of the time the ski resort is located in a “village” that includes hotels, restaurants, shopping, and other amenities. Pretty useful, and efficient. Moving forward, we’ll abbreviate mixed-use development with MUD. There happens to be quite a number of benefits to MUDs. For starters, these areas are typically very pedestrian friendly. The presence of traffic still exists, but’s not quite as heavy. By integrating retail, office, and residential space all in one, MUDs make good use of land they occupy. Why is this? The buildings and developments are used for more hours of the day and by more people, which is to say they are essentially multipurpose buildings. What a good way to be environmentally conscious. What’s more, is that MUDs make it possible for people to commute to work in different manners. Not everyone will need to have a car, and talk about a shorter commute! Looking for less maintenance than a typical single-family home? A mixed-use development might be for you. They’re family friendly, they promote a social lifestyle, and MUDs also take away the need for the heavy duty maintenance single-family homes require. One of the big reasons MUDs are beneficial in urban areas is that they provide access to commercial businesses for those who might not have access to them otherwise. Low income families can benefit greatly from MUDs, thanks to the pedestrian-friendly lifestyle and proximity to commercial businesses. So, you want to know what a MUD might look like in the project phase? Check out this activity report for Charterwood in Chapel Hill. Want to see another? North Estes Mixed-Use Development in Chapel Hill blends office space, retail space, and even housing space. Although MUD isn’t a one-size-fits-all term, taking a look at these projects and applications will help you get a sense for the variety MUDs come in. One thing to be sure of, however, is that MUDs will have different parameters, requirements, and zoning laws in different states. Where are the MUDs in the Triangle? With all of the urban and suburban growth in the greater Triangle area, we’re starting to see MUDs pop up all over. From Cary to Chapel Hill, builders have been integrating social, commercial, and residential uses into their plans. Cary is a great example of an urban and suburban area with crazy growth. Remember the Wegmans grocery store coming to Cary? Well, Wegmans is part of a mixed-use development that Columbia Development Group proposed. Their proposal included an amphitheater, green space, office and retail space, and even housing too. Don’t forget about Brier Chapel Commercial Development, either. MUDs aren’t only in Cary or Chapel Hill though. They’re making their way to Holding Village in Wake Forest, Chatham Park in Chatham County, as well as North Hills mall in Raleigh. Take a look at any of these neighborhoods for a sneak peak into an MUD in the Triangle area. Don’t forget to check out the featured listings while you’re there! If you are interested in learning about these mixed-use developments and properties available in them in the greater Triangle area, visit us online. Call us today at 919-813-6449 or e-mail us at [email protected] for additional information. When buying a home, even new construction, it is important to have a buyer’s agent. At Real Estate Experts, we are fierce representatives for our clients. We’re known as expert buyer agents so contact us and see how we can help you find just the home you are looking for. Looking for a place to play? 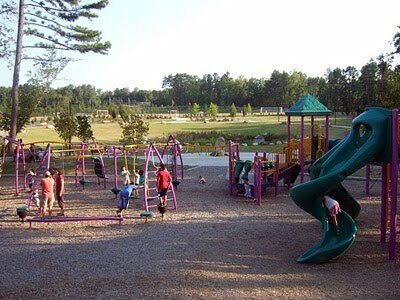 Try one of Chapel Hill’s best parks for kids! Chapel Hill is undeniably beautiful. This lovely small town is known all around for it’s quality of life, and for it’s family friendly atmosphere. Now that school is out and summer is well underway, surely there are some times when you need to get the kids out. What better place to play than a park? The free space is great to get the kids moving, playing, and burning off some energy. 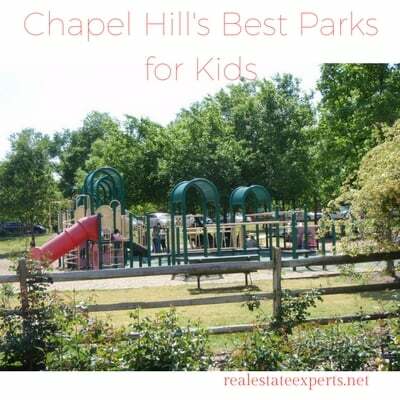 We couldn’t help but create a round-up of the best parks for kids in Chapel Hill. 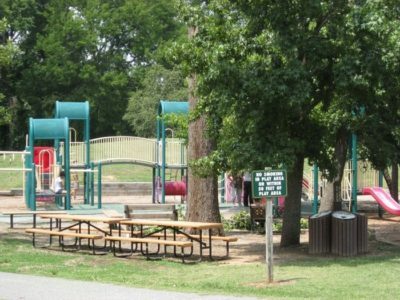 Chapel Hill Community Center Park is located just beyond the community center itself. The playground section of this park is pretty well shaded, which is perfect to beat the sun on cloudless days. With big equipment, there’s enough space for everyone to share. Not to mention, at this park, there’s playground equipment for both little ones and bigger children alike. The ground is a mixture of mulch and other synthetic material, creating a safe place to play. Just beyond the park are picnic benches where parents can watch the little ones play. This fabulous community center is loaded with amenities, too. From bocce ball courts to rose gardens, there isn’t much this park doesn’t have. Some families refer to this park as “Dinosaur Park”, and with good reason! The name comes from the giant, purple dinosaur located in the park. What’s more? 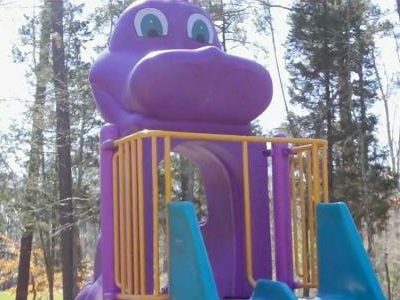 The dinosaur happens to be a stand-alone slide, where kids will climb up the back of the dinosaur and blast down the slide of his chest. Pretty exciting, right? Homestead Park has lots of playground equipment too, including tunnels, slides, swings (and belted swings for the little ones) monkey bars, and wheels. The ground in the park is made of mulch, but beneath the play equipment is rubber matting. Don’t worry, there’s ample shade at Dinosaur Park. With bathrooms nearby, this is a great place to take the kids out for the afternoon. This large playground is perfect to take the kids to, especially when you’re the playdate host. 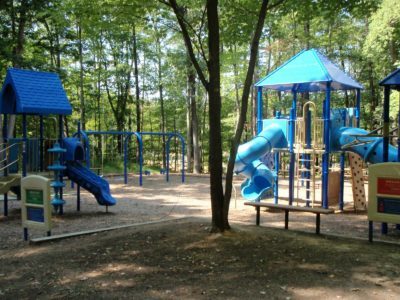 Complete with climbing walls, slides, and swings, Southern Community Park has a good variety of playground equipment. The soccer fields are nearby which pose an issue with parking sometimes, but they’re also available for play. Basketball courts are near the park, too. We like this park because it’s an easy place to keep smaller children from wandering far. With a wall to climb or a tough structure to walk across, toddlers and little ones can be corralled easily! The only issue is there’s little shade, so some of the playground equipment can get hot. So if you find yourself at the park when the heat is blazing, you can head on over to the Southern Village for a snack or meal. Need to bring the dog out, too? Great! The Southern Community Park has a lovely dog park, and trails for walking behind the playground. Cedar Falls Park is equipped to please kids of all ages. From easy access trails with mild paths to its shady playground, this park goes above and beyond. With clean public restrooms, there’s no need to worry about impromptu diaper changes. However, the park gets busy after school (which is why it’s great in the summer) with soccer fields, tennis courts, and covered picnic areas, it’s understandable! While definitely a local favorite, the only thing we’d change about the park is that the water fountains aren’t always working. So grab your favorite water bottles (preferably Tar Heel covered ones), and head on out. Chapel Hill has great greenways, pretty parks, and perfect playgrounds for kids. These playgrounds are near some of Chapel Hill’s best neighborhoods. Think you’d love to live nearby? We’ve got you covered, and would be happy to help you find your next home in Chapel Hill! If you need more reasons to fall in love with Chapel Hill, check out our top 10 reasons why we love Chapel Hill. [email protected] for additional information. We can’t wait to welcome you to your new home. Chapel Hill is a wonderful corner of the Triangle, filled to the brim with culture, fantastic food, and beautiful homes. But what if we told you there’s a development project in the works to better this lovely town? Overall, the project is going to create a “commercial and economic development vision for the West Rosemary Street area. The vision hopes to be practical from a marketing perspective and consistent with the vision of the Northside Neighborhood Conservation District”, according to the Development Guide. The Development Guide offers parameters for commercial and economic development that’s aligned with the Northside Neighborhood Conservation District. By encouraging the diverse community to work together, the town of Chapel Hill hopes to create not only a better community, but a forward thinking and progressive downtown. After months of work, drafts of the Development Guide are ready to be proposed to the Chapel Hill Town Council. The proposal includes the range of the community benefits, which are huge! Firstly, the proposal includes solutions to community-based issues such as the maintenance of storm water drainage, adequacy of street lighting, condition of sidewalks, and other various community projects. The proposal then heads in a different direction, outlining how the project will encourage and welcome local as well as minority-owned businesses. West Rosemary Street Development Guide defines how they will welcome small businesses by creating shared office spaces which reinforce the small scale character of Chapel Hill. Affordable housing, proposed by the Development Guide, will restrict some student housing. Housing may be limited to renters 21 years and above. Alongside this, the town will evaluate policies that may act as barriers in affordable housing, such as development fees. Home-ownership is outlined, too. The project indicates usage of town-owned land in order to develop new homes, and provide sponsorship for new home creation. The project will also begin a campaign to highlight the cultural identity of the “corridor”. A cultural center location will be determined, and a Cultural Resource Plan will be developed in order to preserve the cultural identity of the area. 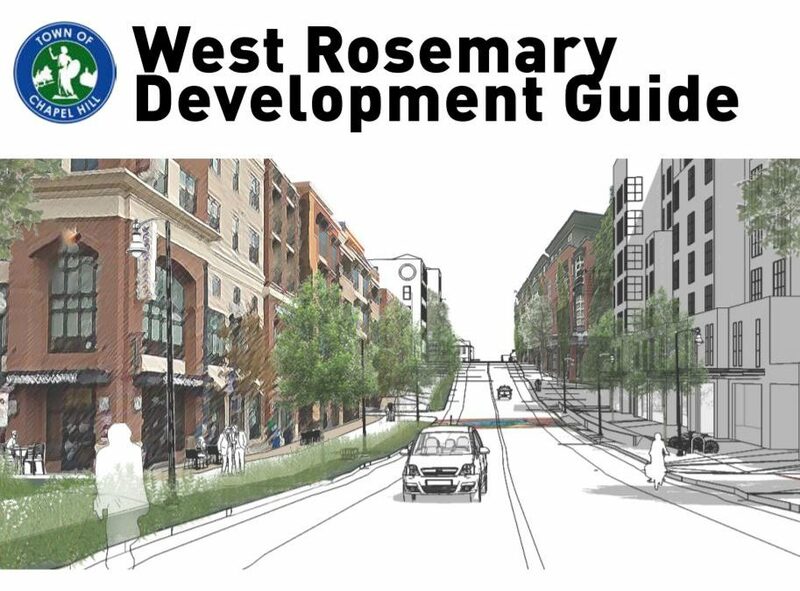 There are several suggested steps to implement the West Rosemary Street Development Guide. These suggested steps are mainly under the responsibility of the Town of Chapel Hill. First, on the implementation agenda, is creating a cultural resources plan. Following the plan comes considerable studies to understand the West Rosemary Street corridor better. Studies might include Residential Permit Parking study, or Franklin Street Connectors. Then the Town will begin to work within zoning. A Community Benefits Agreement will be created, too. This is in order to bring together the “community benefits” discussed earlier within the Development Guide. The implementation plan will conclude with traffic and safety improvements, street lighting, and other associated improvement projects. Additional private and public development projects will be encouraged, too. For more information about the implementation of the West Rosemary Street Development Plan, click here. There are a number of neighborhoods, communities, and subdivisions located in Chapel Hill, surrounding downtown and West Rosemary Street. North Carolina is at the top of many people’s relocation destination list. Though we probably don’t have to explain why North Carolina is a fantastic place to call home, there are a few motivating factors for relocation to this state in particular. There’s a lower cost of living, especially if you’re coming from another area of the country. Lower housing costs and lower taxes are also pull factors. Not to mention, North Carolina’s temperate and mild four-season climate which can be withstood in the mountains, Piedmont, or coastal regions. 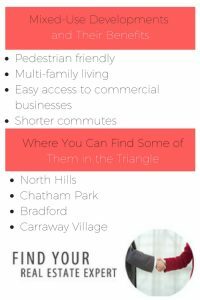 The Triangle, located in the Piedmont, has so much to offer new residents. From incredible eats and higher education to plentiful jobs and convenience, the Triangle draws in so many new residents every year. It’s not hard to see why, though. Especially when you look at Chapel Hill. This small town, frequently referred to as the “Southern Part of Heaven”, will charm you into packing your bags and heading south. Here are 10 reasons why you should move to Chapel Hill, North Carolina. Just this past March, Chapel Hill hosted her first food truck rodeo! A dozen local food trucks gathered on Rosemary; if you’re not familiar with the town, this street links to down town Chapel Hill. There, you’ll find tasty eats to satisfy anyone’s appetite. 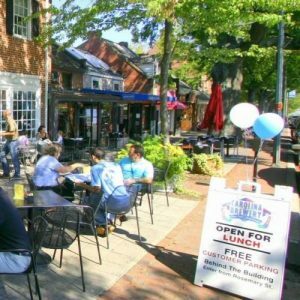 With over 95 resutarants and bars, most locally owned, Chapel Hill has one of the finest dining scenes in the country. Breakfast: Sunrise Biscuit Kitchen for mouth watering chicken biscuits. Lunch: Merritt’s Store for to-die-for sandwiches. Dinner: Mama Dips for down-home Southern culinary goodness. We won’t argue, culture is important! That’s why it’s wonderful to know Chapel Hill boasts a thriving cultural scene. From the Morehead Planetarium and Science Center to the Ackland Art Museam, there’s an exhibit for everyone. Learn about galaxies and the Mercury program, or take a yoga class in the galleries at Ackland. The historic Varsity Theatre always has the latest movie releases, while the Carolina Performing Arts hosts incredible musicians, performances, and productions like “Beyond Sacred: Voices of Muslim Identity”. Great Schools, a non-profit organization, works to educate parents on the educational opportunities within school districts. Their rankings and rates provide information that helps families choose the best schools for their children. On a scale of 1-10, Great Schools ranked Chapel Hill schools an 8. This scale is based on student growth, achievement, and college readiness. Chapel Hill and Carrboro schools pride themselves on their emphasis on student growth as well as achievement. Hear it from former Superintendent Dr. Tom Forcella here. Discover Orange County’s schools here. 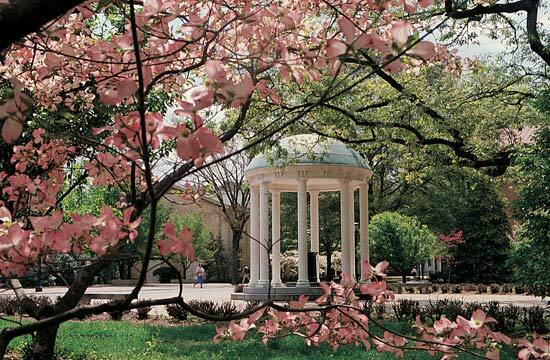 UNC Chapel Hill was founded in 1789, making it one of the oldest public universities in the United States. Out of the top 100 Best National Universities, UNC ranks number 30 in 2017. Often noted as a public “ivy” school, UNC is reputably one of the best universities in not only the country, but in the world. Programs at this school range from the highly ranked Kenan-Flagler Business School to the School of Medicine. The University of North Carolina at Chapel Hill is much more than a college. In Chapel Hill, residents bleed Carolina blue for their Tar Heels. If you’re a fan of baseball, basketball, and football there are sporting events year round to appease sport-loving residents. Catch a Tar Heel game here. Or, wait to see the ACC Champions in spring of 2018. Want the benefits of a big city nestled into a small town atmosphere? Look no further. Chapel Hill’s connection to UNC brings everyone together under a brilliant shade of Carolina blue. Not only does the town feel like home, but Chapel Hill provides locals with family friendly events. With trails leading to Bolin Creek nearby, there’s wildlife to investigate. Don’t forget about Live & Local, Chapel Hill’s weekly music and arts show. Or, catch a movie under the stars at Wallace parking deck! Located in the Triangle, Chapel Hill is a stone’s throw away from RTP. Which is to say, Chapel Hill has many opportunities for employment in a variety of industries. Research Triangle Park has been known to lure in new residents thanks to plentiful jobs associated with the research and technology roots of the region. Top employers include IMB, WakeMed Health & Hospitals, SAS, Biogen Idec Inc. and GlaxoSmithKline. Job opportunities also come in the form of employment within the universities in the area. North Carolina State University, Duke University, and UNC Chapel Hill all act as major employers in Chapel Hill. Thanks to these factors, Chapel Hill has a low unemployment rate and a strong job market. Don’t forget about local gems, like the Sun Magazine. Check them out here. Living in Chapel Hill means proximity to natural attractions like the Blue Ridge and Appalachian Mountains. Head three or so hours in the other direction, and you’ll hit Carolina or Wrightsville Beaches. Downtown Raleigh is only 28 miles away from Chapel Hill, whereas Durham is a shorter 14 miles away. Both cities provide incredible entertainment, dining, and experiences unparalleled anywhere else. Raleigh Durham International Airport is less than a half hour away from Chapel Hill. It’s easy to think that if you want a safe, pleasant, and overall good place to live, it’ll have to be expensive. If cost of living is indicated, on average, by 100 let’s look at where Chapel Hill comes in. Overall, Chapel Hill is an affordable area. Regional costs of living are low in the south east, but cost of living in this town is high; only in comparison with other cities in the region. Thanks to upscale shops, fine dining, and an upscale feel, Chapel Hill prices are driven higher, but only fractionally so. Not to mention public university tuition. As a resident of North Carolina for the 2015-16 school year in-state tuition at UNC Chapel Hill was $24,320. Compare this to out of state tuition at $50,360. 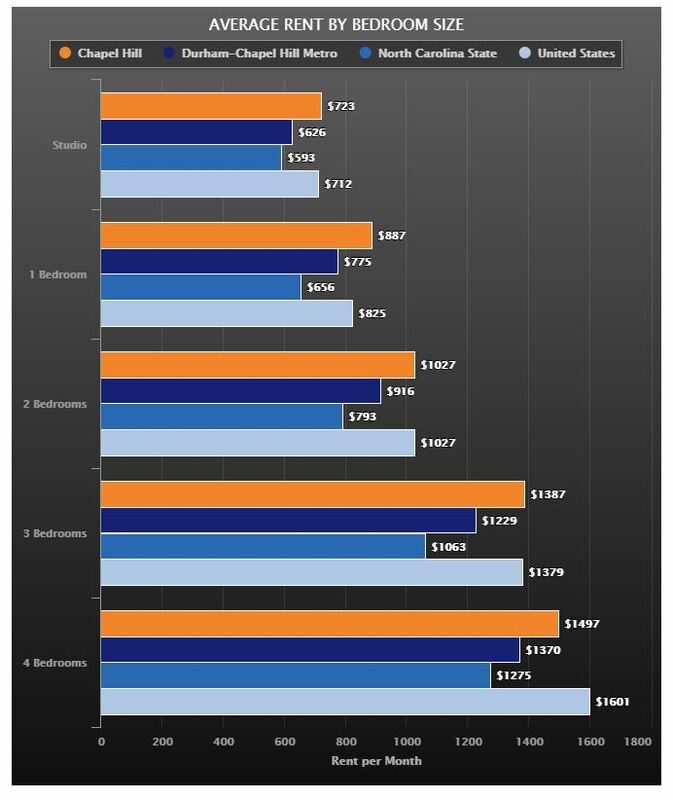 The biggest difference between Chapel Hill and other cities is the price of housing, however Best Places broke that down, too. Try comparing your current cost of living to cost of living in Chapel Hill here. UNC Healthcare was created in 1998, bringing together the healthcare system of North Carolina as well as the hospitals and programs of the UNC School of Medicine. By 2013, the U.S. News & World Report ranked UNC School of Medicine as the 1st school in primary care, and 22nd in research. Now, UNC Healthcare consists of numerous hospitals (5), healthcare centers, physicians networks, and community-based practices. In 2015, construction of a new office and hospital complex in Hillsborough finished. The Hillsborough campus includes an ER and general surgery. Convinced? Come Check Out Chapel Hill! 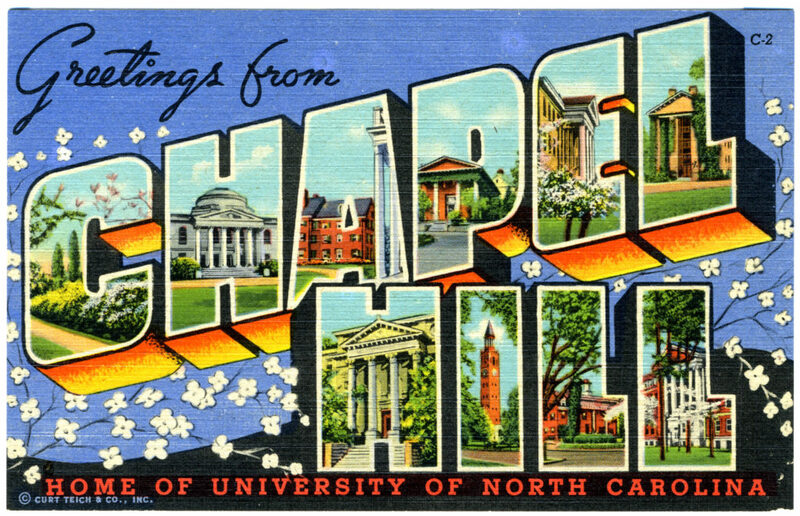 Are you falling in love with Chapel Hill? There are a number of neighborhoods, communities, and subdivisions located in Chapel Hill and Carrboro.